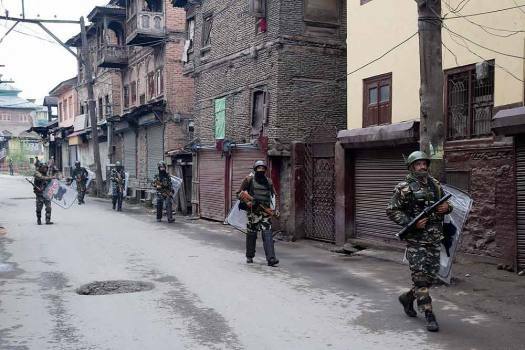 Paramilitary soldiers patrol a deserted street during the second phase of general elections, in Srinagar. 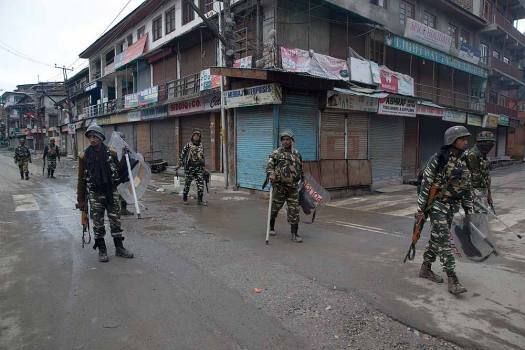 Paramilitary soldiers patrol a deserted street during the second phase of India's general elections, in Srinagar. 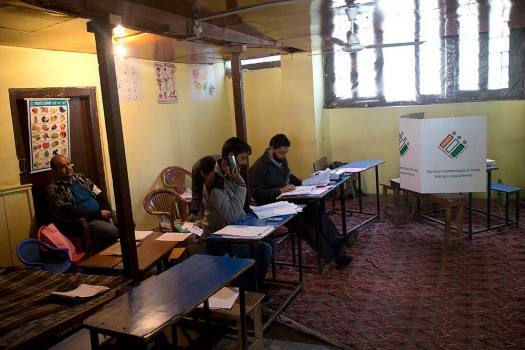 Election officers sit inside an empty polling station during the second phase of India's general elections, in Srinagar. 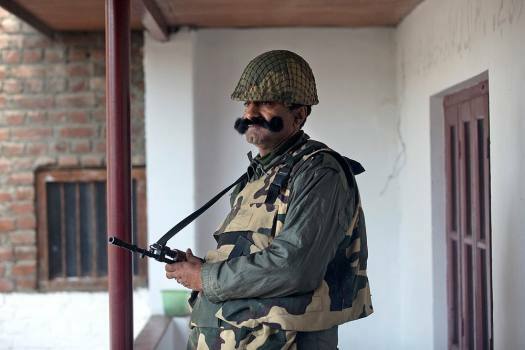 A paramilitary soldier stands guard at a polling station during the second phase of India's general elections, in Srinagar. 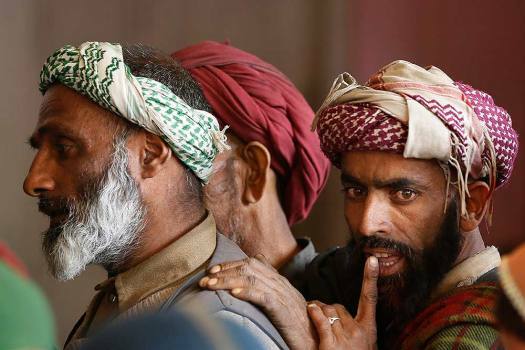 A man displays the indelible ink mark on his index finger after casting his vote, outside a polling booth during the second phase of India's general elections, in Srinagar. 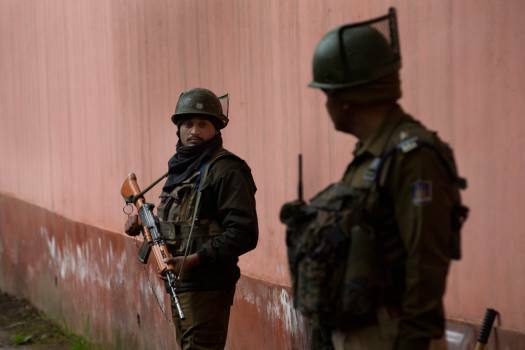 Paramilitary soldiers stand guard outside a polling station on the eve of the second phase of general election in Srinagar. 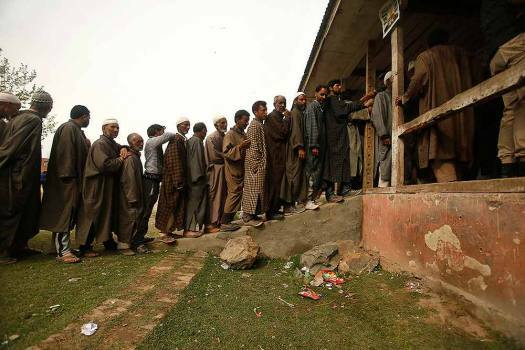 Kashmiri voters line in a queue to cast their votes outside a polling station at Shadipora, outskirts of Srinagar. 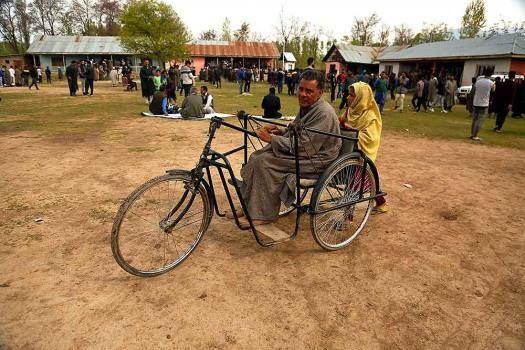 A physically disabled voter returns after casting his vote at a polling station in Shadipora, outskirts of Srinagar. A security personnel stops a vehicle for checking on the Jammu-Srinagar Baramulla national highway, on the outskirts of Srinagar. 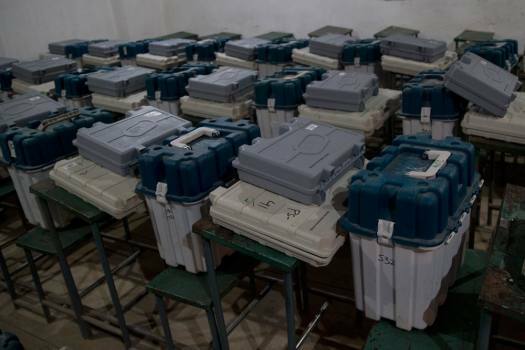 Srinagar constituency is spread over 15 Assembly segments having 1,295,304 registered voters. 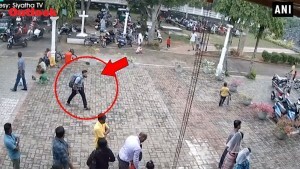 The authorities had set up 1,716 polling stations across the Parliamentary constituency to facilitate the polling. 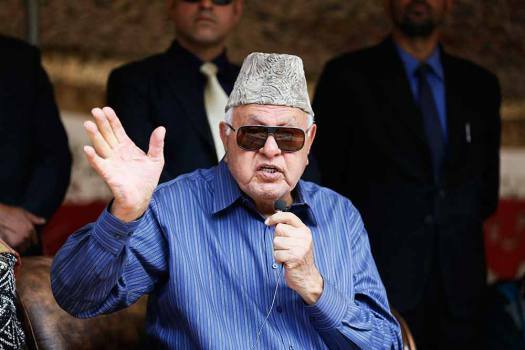 One of the spare vehicles in the former Jammu and Kashmir chief minister's motorcade was damaged in the stone-pelting and the driver was hurt. Mehbooba Mufti was reportedly referring to Amit Shah's speech at Raiganj in West Bengal on Thursday. 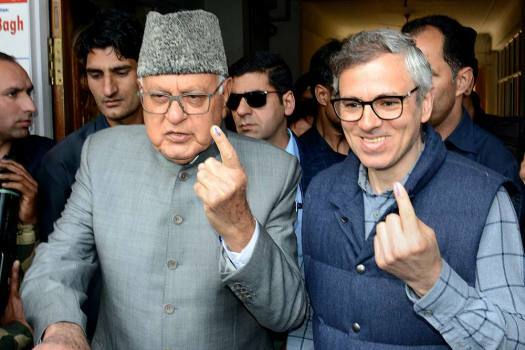 Polling is being held Thursday for the Baramulla Lok Sabha constituency where 13.12 lakh voters are eligible to decide the fate of nine candidates in the fray. 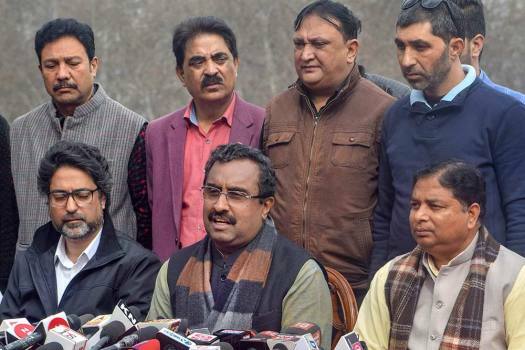 The BJP on Wednesday demanded that PDP chief Mehbooba Mufti be arrested for allegedly instigating people to defy a ban of vehicular movement on the national highway connecting Jammu with Srinagar. 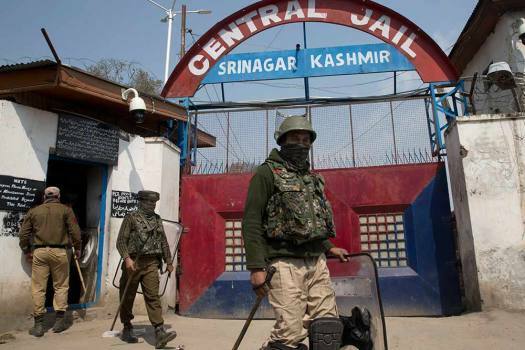 The National Investigation Agency (NIA) on Tuesday questioned Hurriyat Conference chairman Mirwaiz Umer Farooq for the second consecutive day in connection with terror funding case. 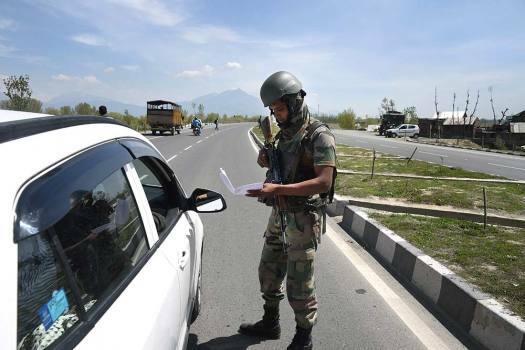 The national highway from Baramulla to Udhampur has been put out of bounds for the civilian traffics on Sundays and Wednesdays till May 31, a notification issued by the J&K administration said on Wednesday. 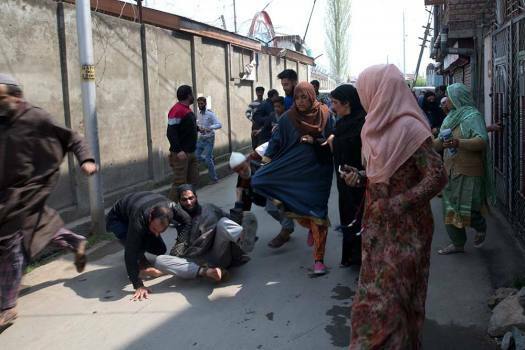 Communism may espouse atheism, but for the revolutionaries of Kashmir, religion is an important part of public life. 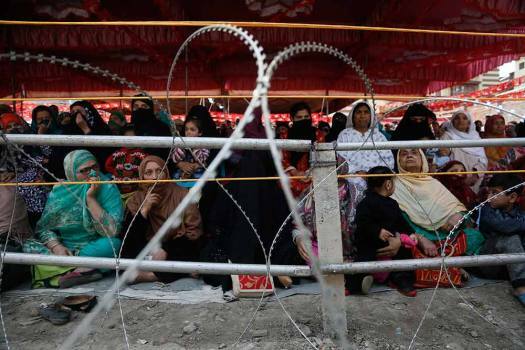 There is a perception in Kashmir that the state was denied fair elections from 1953 till 1977. 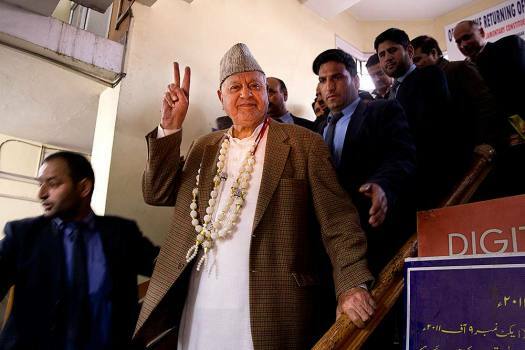 It is widely believed that in 1977, under PM Morarji Desai, a truly fair election was held in the State leading to the landslide victory of Sheikh Mohammad Abdullah. Someone, who might have been fond of inertia, invented this garment in praise of the laziness and handed it over to Kashmiris who are loving it. 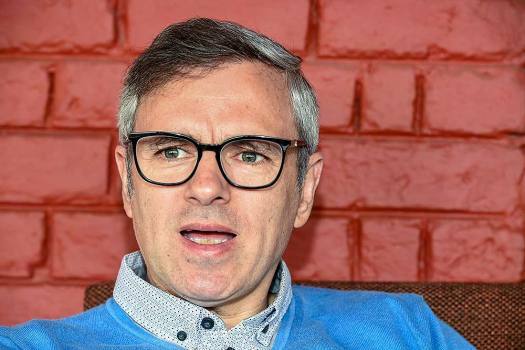 Rather than talking about Kashmiri doctors and multi-storey houses in the state, had the Governor concentrated on the fax machine at the Raj Bhavan, Jammu and Kashmir Assembly’s dissolution would not have made headlines in international media. 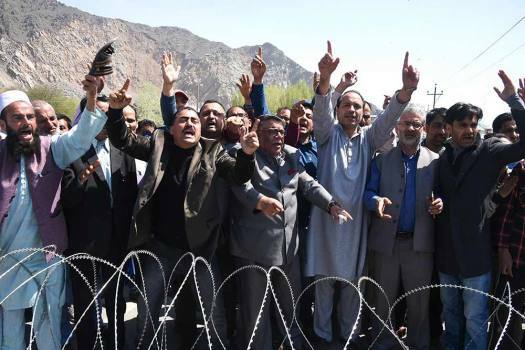 This is the third ban in the history of Jam­aat-e-Islami Jammu & Kashmir founded in 1942. In this week's diary, author Shabnam Minwalla tells us her recent visit to Kashmir during Bookaroo Srinagar and how she wishes the Valley could heal again. The Muzaffarpur and Deoria revelations outraged people’s ­conscience, but the rot in shelter homes goes far beyond. The failure is pervasive and systemic.